An excellent collection of awards specifically tailored to the golf enthusiast and tour events. From junior golf to pro golf tournaments, we have the award to meet your tournament winners expectations. From Crystal, Glass and Plaques, and loving cup trophies. Its all right here. 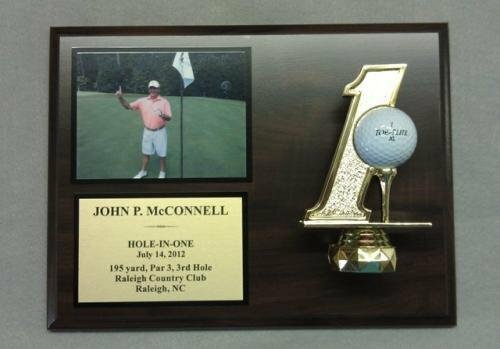 Check our custom 'Hole In One' plaque which features a photo. It's one of our top sellers! 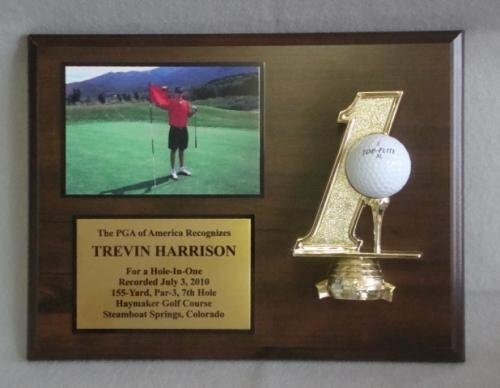 Action Awards exclusive hole in one plaque is 10 1/2 x 13 black piano finish and features silver accents. This is the perfect way to display your accomplishment. 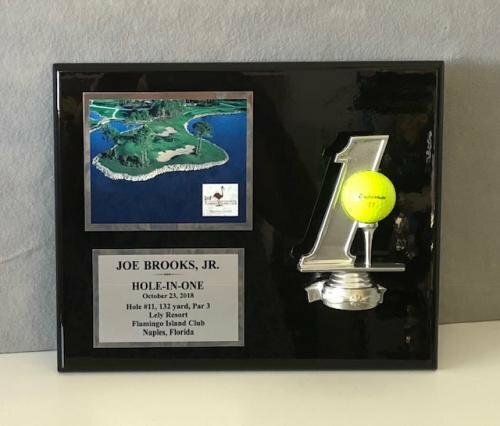 Hole in One Plaque is Action Awards' exclusive design. It is the perfect way to show off your accomplishment. You have the option to submit your photo during the checkout process. 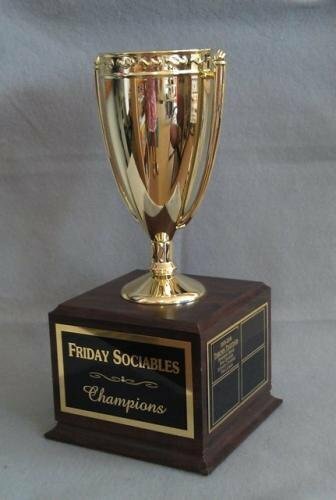 We'll create this one of a kind award. One of our Biggest Sellers!